Lake City CDJR in Lake City, FL looks forward to welcoming you to our dealership. Our staff is here to not only help you secure the Chrysler, Dodge,Jeep, or Ram, you’ve been wanting, we’re here to assist with your bad credit financing options as well! Our dealership understands how difficult it can be to not only achieve but maintain a pristine credit score and if you’re like most of the population, you have a less than perfect credit rating. Here at Lake City CDJR, we treat you with the respect you deserve and are eager to learn about your specific financial situation and how we can help! Make the short trip over to 4325 West Highway 90, Lake City, FL 32055 today to visit our finance department! Our specialists are standing by, anxious to walk you through all the sub-prime auto loans awaiting you and the sleek CDJR vehicle that has caught your eye, so grab the whole family and head over now! Our finance department team members will walk you through the steps of the approval process and ensure you understand all the credit terms. Ready to get started? Fill out our secure credit application right here at our CDJR dealership or get started on your bad credit car loans right now by using our online application! There are just a few simple questions to answer before sending your form over to us! Once you hit submit, sit back and relax, Lake City CDJR will do all the legwork! In the meantime, shop our new CDJR inventory or take a look at all the aggressive specials we have taking place! 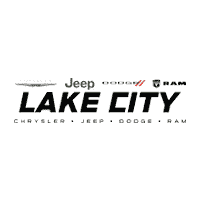 Lake City Chrysler, Dodge, Jeep Ram dealership has forged professional relationships with many different credit lenders so that we are able to work with a wide variety of sources and present you with a multitude of options. Don’t deal with the hassle of bouncing from lender to lender, instead, make one trip over to our Lake City, FL location and let us do the rest! Our CDJR car dealership has helped many drivers secure comprehensive car loan packages that make it easy to keep up with those monthly payments and we are eager to bring our years of expertise to your specific situation. Talk to us about the recent bankruptcy you went through or any repossessions. No matter what your credit rating, from no credit whatsoever to bad credit to a perfect score, we can help! There are so many perks that come with shopping here at Lake City CDJR and we don’t want you to miss out on any special offers so take advantage of all the useful resources we have available right here on our website or contact us to get your approval process started right now! We thank you for trusting us with your car loan endeavor and we look forward to providing you with an array of options to choose from!